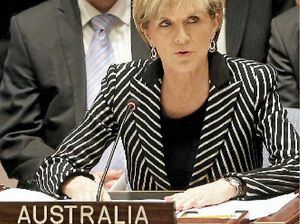 Foreign Minister has signed an historic treaty with East Timor. Politics Julie Bishop has refused to rule out a future leadership tilt after giving a speech where she blasted headline-grabbing politicians. Lifestyle IF she had her time again, Foreign Minister Julie Bishop admits there is one thing she wishes she understood before running for office.